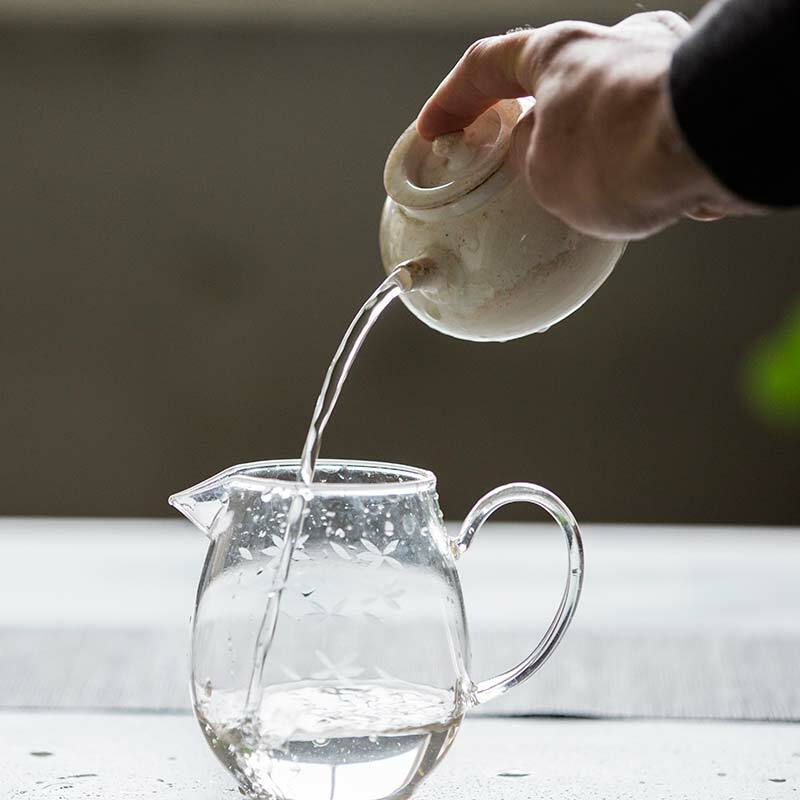 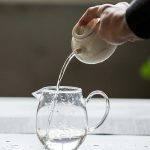 This particular teapot holds approximately 230ml of liquid and has a flat 7 hole filter. 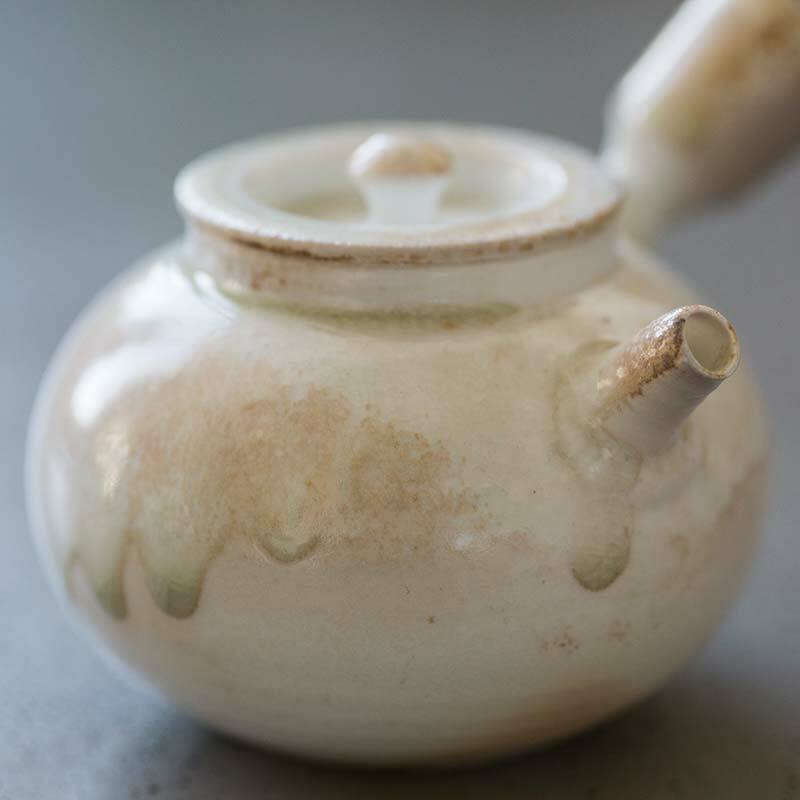 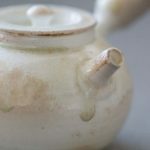 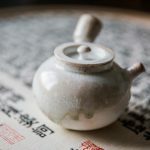 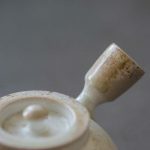 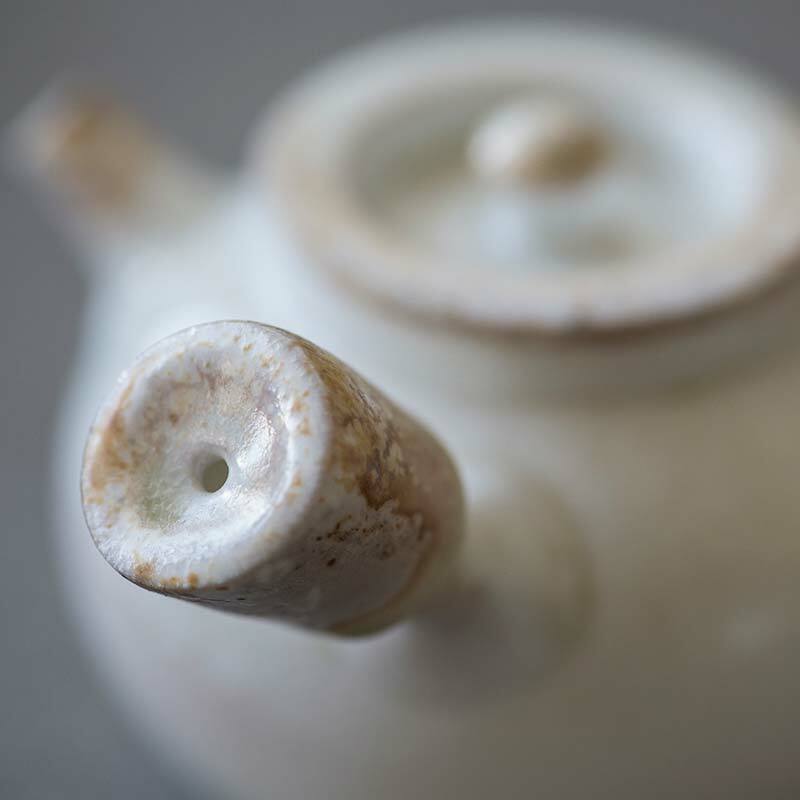 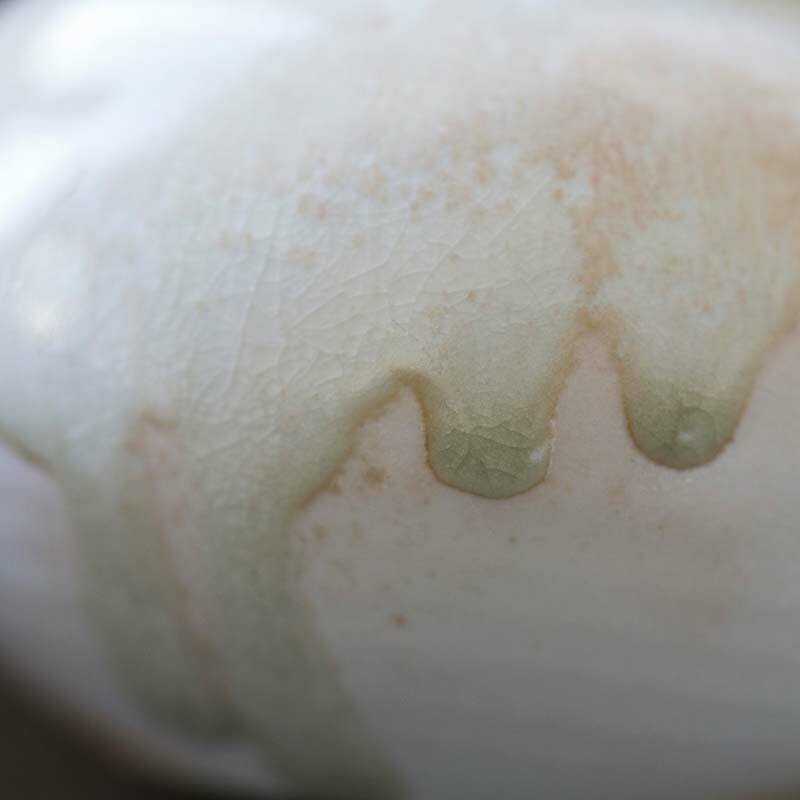 The clay used is a high-grade white clay (高白泥) from Jingdezhen area. 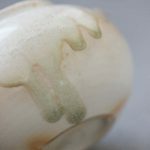 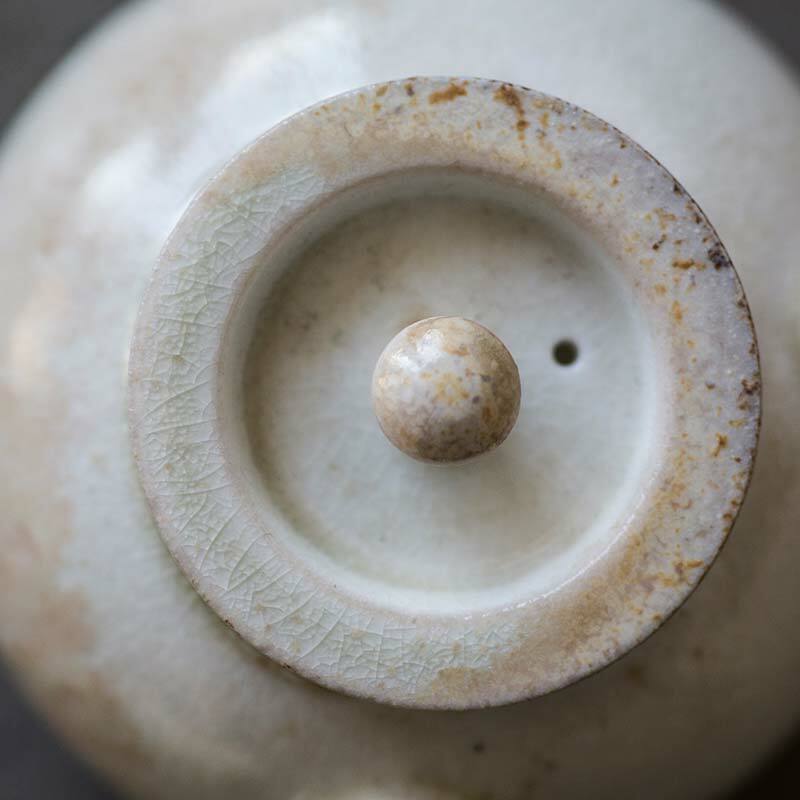 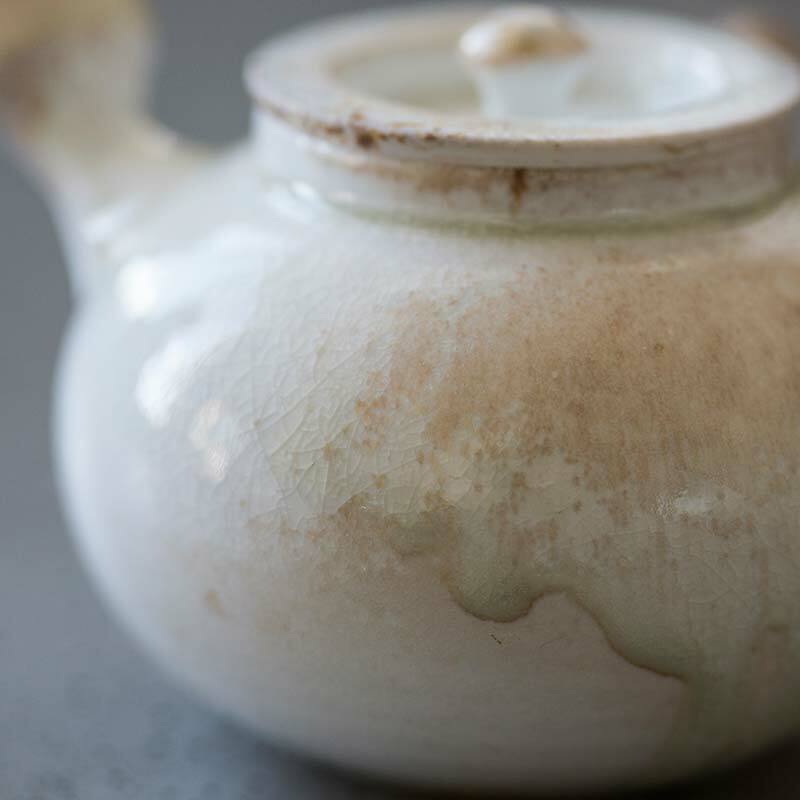 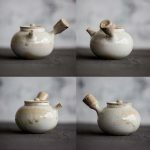 Compared to our similar pots from this series made from mid-grade white clay, this clay is finer and more pure, which in turn produces a slightly more subtle effect from the wood firing process.